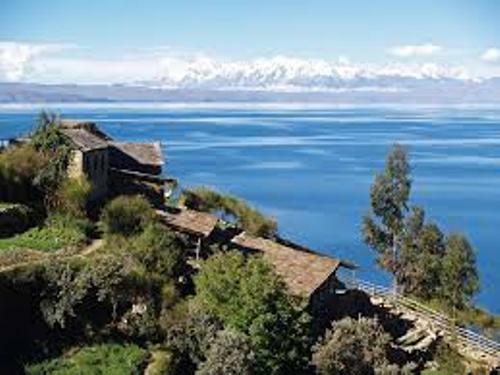 Let me show you the amazing Lake Titicaca facts if you want to know the popular lake in the world. Lake Titicaca is famous with its wonderful height, legends and beauty and history. The location of the lake is between the lands of Bolivia and Peru. Read the detail post below about Lake Titicaca. Do you know the height of Lake Titicaca? It is around 3,180 meter above the sea elevation. Even though it is very high. the lake is navigable. The lake actually stands on the Andes Mountain. 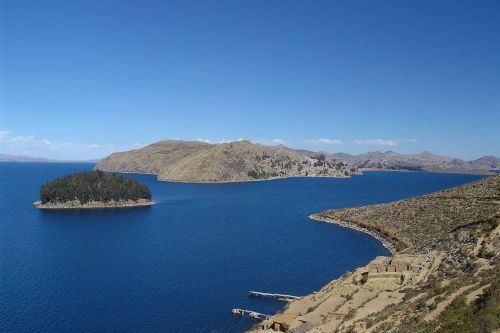 In term of volume, Lake Titicaca is considered as the largest one in the world. On average, it has 107 km deep. The lake spreads on 8,300 sq km area. Lake Titicaca is notable around the world because of its beauty. When you come here, you will be amazed with the snow capped peak in Andes Mountain located around the lake. Therefore, many people love to have a nice moment on the Lake. If you want to enjoy a wonderful and changeling moment when visiting Lake Titicaca, you can ride on a boat. The boat is very unique because it is created from the reeds which float on the water. Tell me about the shape of Lake Titicaca! Many people think that the shape of the Lake reminds them with the imagined puma which chases a rabbit. You can find two parts of the lake. They are a large and a deep part. The first part of the lake is called as Lago Grande. It means big lake. The smaller part is called Lago Pequeno. The meaning is little lake. 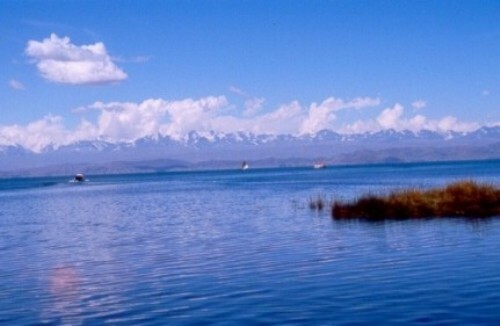 Lake Titicaca is owned by two countries. Bolivia has 40 percent of lake. It is located in eastern side. The western side belongs to Peru. It occupies 60 percent of the lake. In October 2013, one of the islands in Lake Titicaca located near the Isla de Sol was used the excavation area. People found silver, gold, bone and ceramic in the area. Lake Titicaca is one of the best tourism objects in the world. You can explore the area with family and friends. Don’t forget to enjoy the floating islands such as Taguille, Uros, and Amantani. Read a popular lake in US in Lake Tahoe facts. Isla de Sol is a good place for the people who want to enjoy mystical and historical features. You can enjoy rocky features too in one of the large islands in Lake Titicaca. The islands in Lake Titicaca are the home to the pre-Inca, Inca, and Spanish ruins. Are you satisfied with facts about Lake Titicaca?